We assist our strategic partners in navigating their entry into the Americas and ensuring the integrity of their seafood. 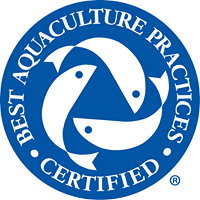 Our team has built strong relationships with each seafood company, enabling us to validate their commitment and passion to high standards of fishery and aquaculture, product quality and food safety. You can be sure that, whichever product you select through Candor Seafood, you’ll be purchasing the best-tasting, highest-quality seafood and natural goodness available. 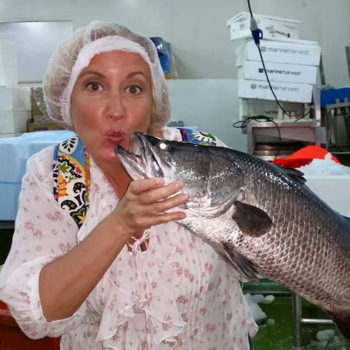 As one of the largest Barramundi fish farms in the world, Kühlbarra raises their super-breed in a 100% natural environment, with no GMO, antibiotics or hormones. 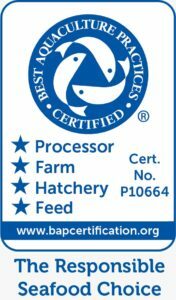 Their custom-formulated sustainable and traceable feed, with added salmon oil, is used to cater to different ages of the fish to ensure healthy growth and high Omega-3 content. Barramundi 1-3lb. fillets: Skin on, Scale off & belly off for 100% yield. Barramundi Portions: Skin on or off, 4,6, 8oz cut from 2-3lb fillets. Located in the Province of Zeeland in the Netherlands, Kingfish Zeeland taps into the pristine marine estuary water of the Oosterschelde, a Natura 2000 nature reserve- working to deliver a fresh, sustainable, and healthy premium delicacy: the Yellowtail Kingfish. Dutch Yellowtail, a high grade Sashimi, grilled, or smoked classic, is an excellent sustainable alternative to over-fished or unsustainably farmed premium species. Kingfish Zeeland is excited to be recognized and recommended as a “Green” choice by the “Good Fish Foundation”, and we are committed to continue to work towards ever higher standards of sustainability and quality! King Turbot and King Sole are Stolt Sea Farm’s flatfish trademarks. Stolt Sea Farm is a multinational company of recognized international prestige in the fish farming sector. King Turbot is one of the most highly regarded species due to its firm and delicious white flesh. It is also considered to be a genuine gastronomical luxury. The delicate flavor of this easily digested fish makes it an essential part of any balanced diet as it contains very few calories. The temperature and climate conditions of the Gailicia Rias in the Atlantic are the main reasons this product was established here and are the starting point of Stolt Sea Farm’s fish farming activities, providing high quality products. King Sole offers cooking possibilities that are only comparable to those of turbot, making it a highly versatile, tasty fish. It is also a healthy and complete nourishment that is low in fat. It is one of the best loved fish by children, as its fillets do not contain bones, and its delicate flavor and texture mean that even the youngest members of the family can enjoy it easily. If it is cooked correctly or combined with light sauces, it is very useful in low-calorie diets and for people with digestive problems.